With questions about pruning flooding into the garden center, there’s no doubt that pruning is in full swing. Some homeowners new to the area are overwhelmed with where to start on a landscape that has been ‘let go’ for too many seasons. First-time homeowners just don’t have enough experience yet, so are overwhelmed by conflicting advice given by the talking heads on ‘YouTube’. There is probably nothing that puts fear and trepidation into a gardener’s soul more than that first cut into a tree and/or shrub. Learning to prune can be intimidating for fear of turning a plant into an ugly mess, a contorted figure in the front yard, or even worse . . . killing it outright. It would be nice if we could only plant trees and shrubs that need no pruning at all, such as evergreens. The reality is, ornamental trees and shrubs need annual maintenance to keep them renewed and looking their best. You may have heard that pruning trees and shrubs that bloom in summer or autumn are best pruned in winter. Also, that early spring bloomers should be pruned after they have finished blooming in spring. Sometimes, however, these rules of thumb need to be ignored because of damage, neglect, a backyard construction project, or unexpected demands on your time. Don’t worry; your trees and shrubs will be able to handle any untimely pruning. Just don’t try to make up for years of neglect in one season. #1 Pruning trees and shrubs at the wrong time kills them. It’s very difficult to kill a plant simply by pruning. It may not flower for a season, but eventually, it will resume its normal cycle. There are optimum times for pruning different plants, but it has more to do with a plant’s dormancy, bleeding sap when it is actively growing, or when it sets the best flower buds. While there are optimal times to prune woody plants, if you have to prune for eased access or to remove damaged branches, you can do so at any time of the year. It will not kill the plant. Period! Enough said! #2 Prune severely and you won’t have to prune again in summer. It can be tempting to hack back over-grown shrubs in spring because it’s so much easier to heavily prune when a plant’s branch structure isn’t hidden behind its leaves. Unfortunately, hard pruning often stimulates new growth and lots of it! Since much of this growth will be thin, weak wood, you will have to do some thinning or it will die off on its own and cause a whole new set of problems. Severe pruning can also lead to suckers, which will require even more pruning during the following season. It’s better to do a little maintenance pruning each year. A good rule of thumb is to never remove more than 1/3 of a shrub’s or tree’s woody growth. This retains the plant’s desired shape created from the old branches, allowing new wood to fill in the basic structure. This technique keeps your plants well-shaped, of manageable sizes, and constantly renewing themselves. #3 Prune an ailing tree or shrub to rejuvenate it. It’s fine to prune out branches that obviously are infected, broken or infested; but severely pruning an ailing tree puts more unwanted stress on the plant. It only forces the plant to put more energy into regrowth, and this new growth is even more susceptible to problems. 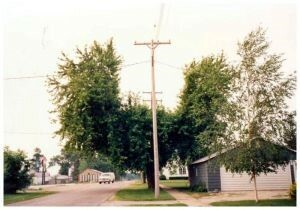 Instead, try to fix whatever is making the tree sick, whether it’s a pest, a disease, gophers, or a cultural problem. Once the tree or shrub has regained vigor, you can resume maintenance pruning. 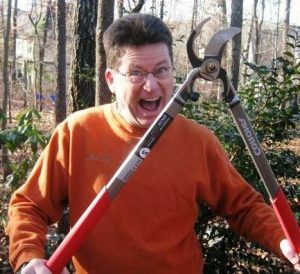 Pinterest – Just for fun the Watters staff has rated to worst pruning jobs witnessed yet. Horrible, absolutely horrible! You won’t be able to look away from these train wrecks. Free Garden Classes every Saturday @ 9:30 am. Next week we have one of our most popular classes. Each class is free, but come early, our pruning class is interactive and standing room only. 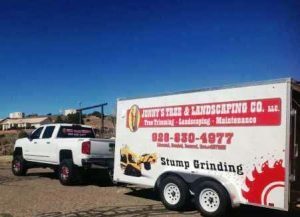 February 2 @ 9:30 am Advanced Landscape Pruning for Garden Success – We’ve invited the the tree arborist from Jonnys Tree company to teach this class. Timing is critical for the plants in your yard that need pruning. We share techniques for our mountain climate that are sure to make the yard happy, bloom better and reduce disease this spring. February 9 @ 9:30 am Gardening for Newcomers – New to northern Arizona or just new to gardening? This class is Gardening 101 for everyone hoping to turn a brown thumb green. Learn all the mountain secrets to local garden success from soil preparation and planting to watering and fertilizing. This is an information-packed class guaranteed to increase garden blooms this year. Until next week, I’ll be helping friends here at Watters Garden Center.